If you have a house with one more bedroom, you probably want to have a guest bedroom, especially if you have friends or family who live far away from where you are and that it is possible that they will come to your house to spend a few days at your side. A guest bedroom is a great way to enjoy an extra bedroom and also, be a good host. 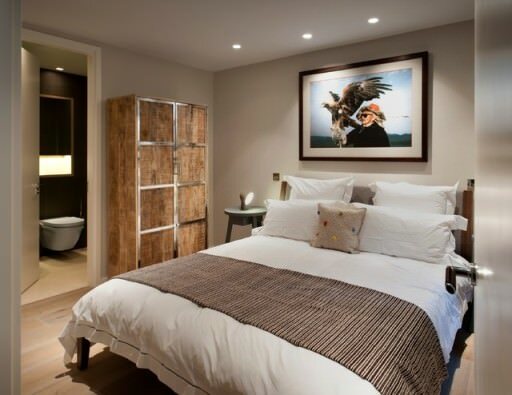 But to be able to take advantage of the space if you do not usually have guests every week, you can also think of a bedroom with more than one use, this way you will not be wasting a space that you can take advantage of different ways. If you have a guest bedroom, but do not usually go to see this room, then you can have a bedroom with double functionality. To achieve this, you can have a bed for your guests or a sofa bed, a bedside table and a wardrobe. But then you can adapt the rest of the stay according to your needs or daily interests. For example, the guest bedroom can also be the laundry room, a work office, a children’s playroom … Depending on your needs and interests you can think of a specific goal to give other functionality to your guest bedroom. So that your guests are comfortable at home when they come to see you, before they arrive at your house, you should feel as if you were a guest in your own home. By this I mean that you can be your own guest in your house. For example, once you have prepared the guest room and think that is perfect for sleep quietly, you can experience it by yourself if you are totally at ease. If you sleep in your guest bedroom you will know if something is missing, if you need more space in the closet or a lamp on the bedside table. It’s the only way to know if your guests really need anything else in your stay. If you want your guests to feel at home they should have the little comforts that everyone has at home. For example, you provide your own towels for the bathroom as well as body gels and hair shampoo. If you only have one bathroom think about in which they can shower without problems and with total privacy. It is also important that they have their privacy, that is, allows them to have their moments of privacy and solitude to be in the bedroom, do not invade their personal space. Also, make sure they have a bottle of water at night so they can drink if they are thirsty and allow them to put their food stuff in the kitchen if they see it as necessary. Another aspect to consider is that the bed sheets or sofa bed are clean and that you provide extra blankets if in the early hours have some cold. Likewise, it is necessary that you give them an extra space in the closet or in drawers so that have total availability in case they need to store their things. It may be a gap in the closet or some empty drawers in a dresser. These are some tips that you cannot ignore in case you want your guests to be very well when they come to your house to see you. The pleasant appearance of the bedroom, good decor and decorative style will also make your guests can feel much better at home, decoration should be warm!